The Association for Iron & Steel Technology presented its 2018 AIST Tadeusz Sendzimir Memorial Medal to Danieli Chairman Gianpietro Benedetti, in recognition of his leadership in steelmaking technology and plant building over four decades. As the Chairman of Danieli, Mr. Benedetti’s leadership has been instrumental to a long series of technological breakthroughs for steel production, in particular for minimill operations. Among the many achievements have been the world’s first endless casting-rolling plant for long products, the MI.DA® Micromill process, and the DUE Danieli Universal Endless process for continuous thin-strip casting and rolling. The AIST Tadeusz Sendzimir Memorial Medal was established in 1990 to perpetuate the memory of Dr. Tadeusz Sendzimir’s achievements and engineering contributions in developing process equipment for the steel industry. The award recognizes individuals who have advanced steelmaking through the invention, development or application of new manufacturing processes or equipment. Past winners of the Sendzimir Memorial Medal have included F. Kenneth Iverson, Irving K. Rossi, and John A. Vallomy. 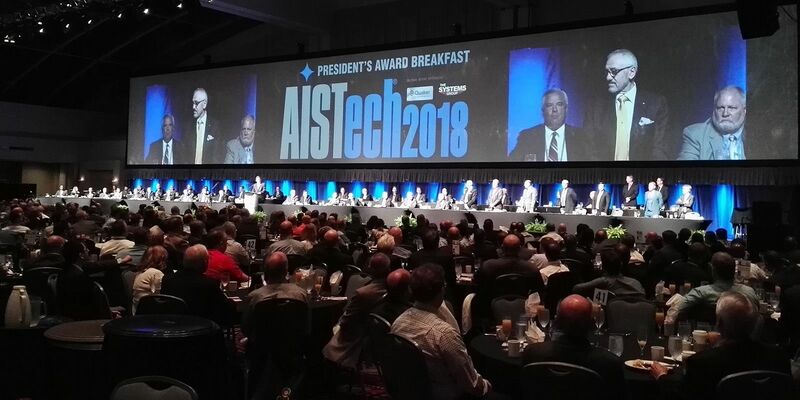 The award presentation took place in Philadelphia on May 8, at the President’s Award Breakfast during the AISTech 2018 event. “Through his perseverance, expertise, strategic vision, he has guided the company to achieve global prominence by striving to lead the technological evolution of the steel industry,” Mr. Randy C. Skagen, president of AIST, noted in its citation. In 1961, Mr. Benedetti earned his diploma as an electrical engineer. That year, he began working in Danieli’s design technical offices, advancing to mechanical project engineer in 1963 and then plant start-up engineer in 1966. He has continued to guide the growth of Danieli, which today employs tens of thousands of people globally, designing, manufacturing, delivering, installing, maintaining and updating metallurgical plants. He is widely recognized by international steelmakers and metal producers alike, having led the business for decades. In addition to the MI.DA® Micromill, Mr. Benedetti is the holder of other numerous patents for steelmaking machines and processes. Over 80 inventions have been registered under his name. 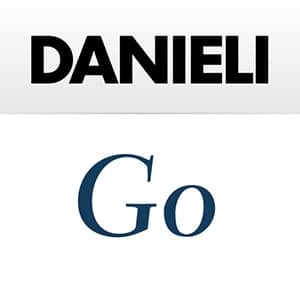 With 400 different patents, Danieli is credited with several hundred inventions that advance steel production, from ore processing to finished long and flat products. Over the last 10 years, Danieli has invested 140 Million Euro per year in research and development activities.